Tuning RIVA racer Eric Lagopoulos’s turbocharged Yamaha EX with RIVA/MaptunerX !!! 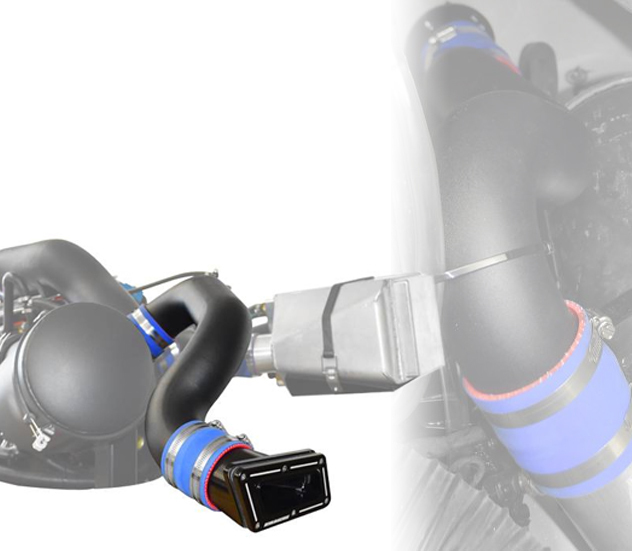 Our Turbo tune features Antilag & Launch Control. ECU is remapped to use OEM SVHO injectors & Map Sensor. 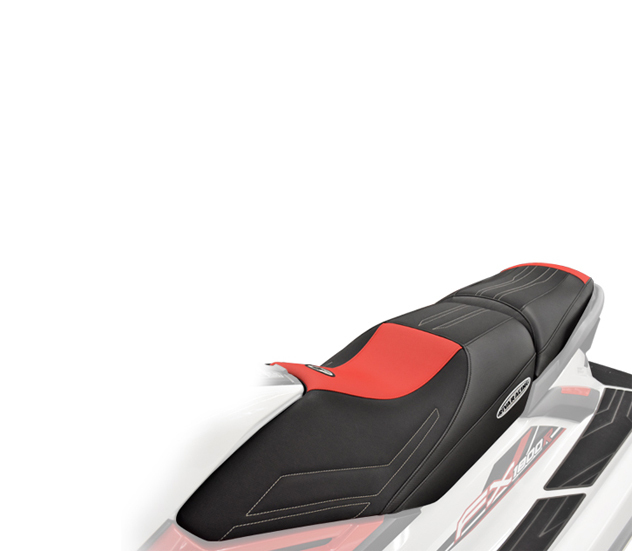 This ski is equipped with the new Kommander Industries TR-1 Turbo Charger Kit along with the latest RIVA Racing parts. This is a work in progress so stay tuned for more info. RIVA Sea-Doo 2018 RXT/GTX 300 Rear Exhaust Full Sound! Quick footage where you can see/hear the all new new install of a RIVA Sea-Doo 2018 RXT-X 300 Rear exhaust. You'll turn some heads when you rev your pwc up with this installed! Note: This watercraft also contains a RIVA Racing Stage 2 kit and waterbox. RIVA Racing tests the performance levels on a newly created Yamaha FX SVHO Custom Build for a customer at our private testing lake facility. This RIVA Stage 3 Kit for the Yamaha FX SVHO delivers 86 MPH at 8,750 RPM. Test Unit: 2018 Yamaha FX SVHO. Speed measured with Quik by GoPro, a Telemetry & GPS based software for GoPro cameras. This kit delivers a significant level of performance (+17mph on U.S. models) through easy to install, electronic, engine, exhaust, and pump enhancements.Requires use of fresh premium octane pump fuel (91~93). See the latest we have to offer for the Sea-Doo RXT-X & GTX Limited 300 platforms! 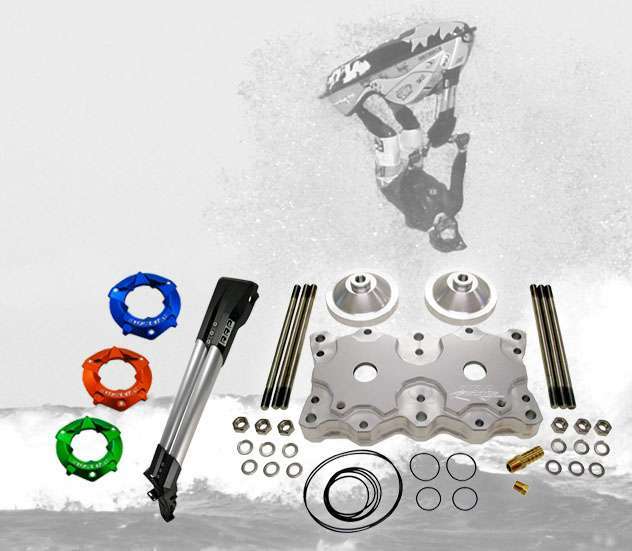 We offer a wide variety of aftermarket parts for your personal watercraft to improve steering, handling, speed and overall performance. Our Development Technicians have spent hundreds of hours testing our parts both on our in-house Dyno and on the water to maximize performance and reliability. We offer easy bolt-on performance with excellent technical support. Our Stage 2 Kit for the Sea-Doo RXT-X 300 delivers 81 MPH at 8,300 RPM. Our Stage 1 Kit for the Sea-Doo RXT-X delivers 76 MPH at 8,000 RPM. Take a Tour of the RIVA Racing Booth with Dave Bamdas at IJSBA World Finals in Lake Havasu, Arizona. RIVA Team Rider Eric Francis gives the run-down of his GP1800 limited spec race boat at IJSBA World Finals in Havasu, Arizona 2017. Recognizing that each customer has specific wants and needs, we offer our Performance Kits in several "Stages". Our Performance Development Technicians have spent hundreds of hours testing numerous combinations of parts both on our in-house Dyno and on the water to maximize the performance and reliability of our kits. Our new GP1800/VXR/VXS Ride Plate delivers the perfect balance of increased top speed and improved handling in a variety of water conditions. Its race bred design features deep channels for improved acceleration and traction in turns. Provides excellent straightline stability at high speed with reduced porposing. Easy bolt-on installation accepts OEM speedo sensor. Click here to view this product on our website. Introducing the ultimate race proven steering system for the Yamaha GP1800! Also fits 2015+ VXR and VXS models. Fully adjustable design features billet aluminum construction for maximum strength & rigidity. Directly replaces bulky OEM mechanism with a stronger & lighter unit. Delivers a precision feel and the confidence to push your craft to the limit with improved dependability and comfort. Accepts standard 7/8" MX bars and provides adjustable quick-steer feature. Click here to view this product on our website. This kit was developed to offer the maximum level of performance while complying with IJSBA Limited Class rules. The kit delivers a huge performance gain with simple bolt-on modifications! Expect awesome acceleration and a top speed increase of 17 MPH. Requires the use of fresh premium 93+ octane fuel. Click here to view this product on our website. Our Stage 1 Kit for the Yamaha EX delivers 56 MPH at 8,400 RPM. Our Power Filter feeds your supercharged engine a steady diet of cool air delivering greatly improved acceleration and rpm. Replaces restrictive stock air box with a high-volume, precision-formed intake duct that attaches to the supercharger via a large 4” adapter. Cool air enters the system via an oversized K&N filter element. Click here to view this product on our website. 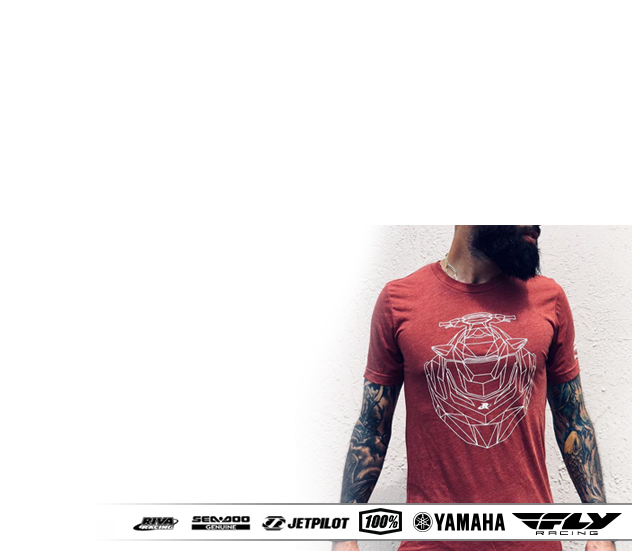 Our Stage 2 Kit for the Yamaha GP1800 delivers 86 MPH at 8,600 RPM. Our IJSBA Stock Class Kit for the Yamaha GP1800 delivers 83 MPH at 8,650 RPM. Our Stage 1 PLUS Kit for the Yamaha GP1800 delivers 82 MPH at 8100 RPM. Quick installation video for our RIVA Yamaha GP1800 Steering System. Normal installation time is 1.5 hours. Our rear exhaust kit delivers performance and cutting-edge style. Allows for removal of restrictive sound suppression system, and improves engine performance by reducing back pressure and restriction. Includes mandrel bent aluminum exhaust tube that is powder coated to prevent corrosion, large billet through-hull exhaust outlet, OEM exhaust outlet block-off and high-temp silicone couplers along with all necessary mounting hardware & installation instructions. Presenting the RIVA Racing 2017 Yamaha Limited Edition GP1800R! This craft was built for racing enthusiasts who demand the ultimate in power and performance. Click here to view this product on our website. Our new Sea-Doo 300 Power Filter feeds your supercharged engine a steady diet of cool air delivering greatly improved acceleration and rpm. Replaces restrictive stock air box with a high-volume, precision-formed intake duct that attaches to the supercharger via a large 4” adapter. Cool air enters the system via an over-sized K&N filter element. Simple installation & quick removal allow easy access for engine maintenance. Includes water-repellent pre-filter and detailed installation instructions. Click here to view this product on our website. Quick installation video showing RIVA Performance Technician Jesus Garcia, installing our power filter kit on a Sea-Doo RXPX 300. Normal installation time is 1.5 hours. RIVA Sea-Doo 300 Power Filter Kit Part # RS13140 fits RXP/RXT/GTX LTD 300 models. Click here to view this product on our website. Water testing the RIVA Stage 2 Kits for RXP-X/RXT-X 300. We logged consistent 80 mph runs in 85 F temperatures on RXP-X 300. Speeds on RXT-X hull are usually 1-2mph faster.Kit includes 3 parts. RIVA Powerfilter, MaptunerX Stage 2 reflash & RIVA/Solas 13/18R impeller. Our Power Filter feeds your Spark’s engine with a steady diet of cool air delivering greatly improved acceleration and power. Precision-formed intake duct channels cool air from original hull vents to airbox. Cool air enters the system via an oversized K&N filter element. Installs quickly & easily with included instructions. The Spark Power Filter draws cold air from the front of your craft that is supplied by the factory hull vents. Air is channeled past the fuel tank and into the OEM airbox.Click here to view this product on our website. Our Power Filter feeds your Spark’s engine with a steady diet of cool air delivering greatly improved acceleration and power. Precision-formed intake duct channels cool air from original hull vents to airbox. Cool air enters the system via an oversized K&N filter element. Installs quickly & easily with included instructions. The Spark Power Filter draws cold air from the front of your craft that is supplied by the factory hull vents. Air is channeled past the fuel tank and into the OEM airbox. Click here to view this product on our website. The RIVA Speed Control Override Module removes the restrictive GPS speed control function on Sea-Doo iControl models delivering significant increases in top speed with stock ECU. Easy to install module allows system to start in "Sport Mode" for maximum performance. "Touring Mode" can be manually selected after start up. Delivers 75mph top speed on 2016 RXP-X & RXT-X 300 models, increases top speed utilizing stock ECU, works on all 2016 300hp & 260hp models, allows system to start in "Sport Mode". All original dash functions are retained. Click here to view this product on our website. The RIVA FZR 350 Limited Edition was developed for performance enthusiasts who demand the ultimate in power and styling. The limited production of 25 units features a host of Riva Performance Products perfectly matched to the Yamaha FZR platform. Each unit features exclusive hull graphics & red anodized components. 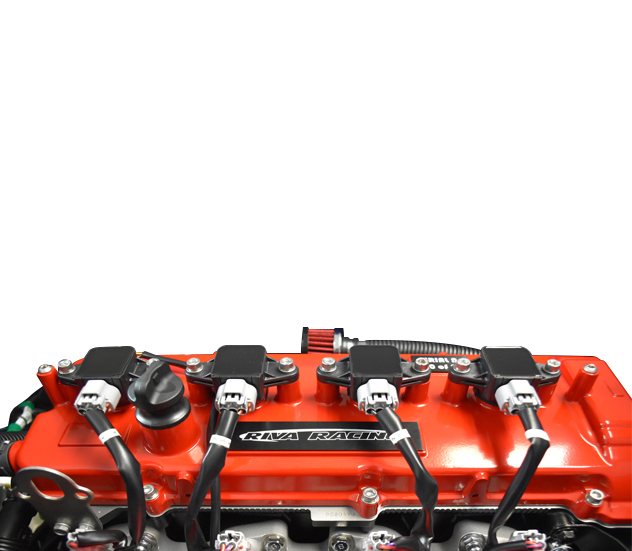 Under the hood, a powder coated red valve cover equipped with an engraved number plate (1-25) emphasizes the limited nature of this craft. The engine produces a reliable 350 horsepower delivering incredible acceleration and a top speed of 80 MPH. To compliment the added power, the unit includes upgraded steering and handling components for complete rider control. The RIVA FZR 350 LTD Edition is a race ready muscle craft built for the track or local buoy course. Click here to view this product on our website. Our Super-Duty ‘GEN-3’ Supercharger Shaft Kit provides the ultimate in reliability for high boost applications. Kit features a revolutionary hydraulic shaft stabilization bearing that limits shaft deflection and wear. Bearing stabilizes end of supercharger shaft via high pressure oil film dramatically increasing the stability of the system. Hydraulic end bearing and one-piece shaft bearing are fed by a through-shaft oiling system providing superior lubrication. Oil is delivered by braided stainless line and injected into a billet end cap that houses hydraulic bearing. Shaft is precision machined from a single piece of high-strength billet steel producing shaft, collar & gear as one piece. This eliminates the common failure point on stock shafts where OEM gear is pressed onto shaft. Shaft also features larger diameter threads & nut for added strength. Kit includes new one piece bearing with increased surface area providing improved torsional stability of shaft. Bearing features superior materials & finish treatment for reduced friction & abrasion resistance. This Shaft & Bearing Kit is a direct replacement for OEM parts and requires no additional modifications for use. Click here to view this product on our website. 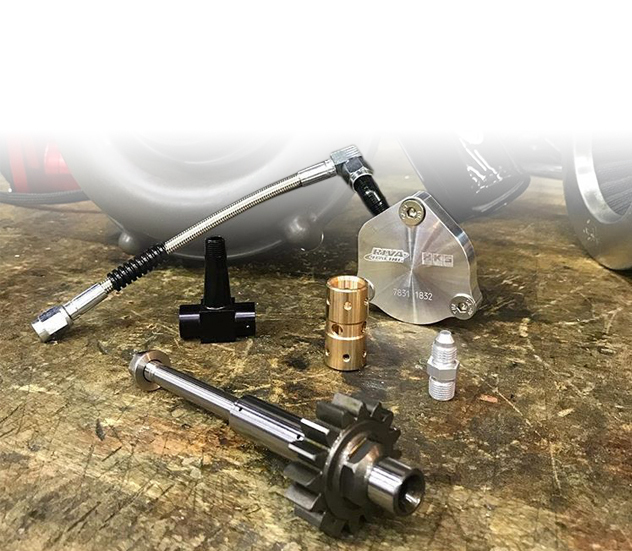 Our Performance Blow-off Valve Kit improves supercharger reliability and performance by relieving unwanted pressure during off-throttle operation. Reduces supercharger clutch & gear wear and eliminates heat soak in discharge tube. High-strength silicone hose with integrated HKS valve installs easily in place of OEM elbow joint. Includes high quality HKS Super SQV (Super Sequential Blow-off Valve) that features unique sequential valve structure and a differential pressure control system, allowing for a broad operation boost range. Also includes vacuum line and fittings necessary for installation on SVHO & SHO engines. A simple and cost effective upgrade for both stock and modified engines. The Blow-Off Valve Kit helps reduce stress on supercharger clutch and drive gear. This promotes longer clutch life and increased reliability. Click here to view this product on our website. Our race proven Pro-Series Sponsons are official equipment for the 2014 World Champion Factory Yamaha/Dean's Team. Delivers dramatically improved handling & straight line stability with their superior fin & backing plate design. Features a bulletproof mounting system with billet aluminum backing plates and fin inserts. Backing plate and fin depth are adjustable to control the amount of influence they have on the craft. Easy bolt-on installation uses original mounting points. Includes all necessary hardware and installation instructions. Click here to view this product on our website. Our Engine Cooling Upgrade Kit delivers dramatically improved cooling efficiency to engine and oil cooler for increased performance & reliability. Greatly enhances water flow & pressure by replacing restrictive OEM pump strainer & water fittings with high-flow billet components and superior routing. Features special billet fitting that injects water into "hot spot" of your engine block where OEM zinc anode is located. Allows addition of aftermarket ECU's, high-boost compressor wheels and other performance modifications that can increase heat & detonation. Click here to view this product on our website. RIVA Sea Doo Lanyard for DESS style safety switches fits 2005-2014 models. Click here to view this product on our website. Our rear exhaust kit for Yamaha VXR/VXS delivers performance and cutting-edge style. Allows for removal of restrictive sound suppression system located between water box and hull exit. 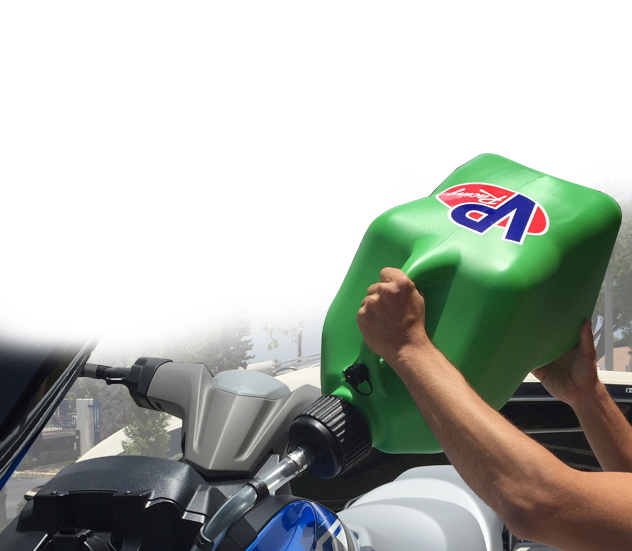 Improves engine performance by reducing back pressure and restriction. Includes mandrel bent aluminum exhaust tube that is powder coated to prevent corrosion, large billet through-hull exhaust outlet, billet OEM exhaust outlet block-off and high-temp silicone couplers along with all necessary mounting hardware & installation instructions. Click here to view this product on our website. Our Power Filter feeds your supercharged engine a steady diet of cool air delivering greatly improved acceleration and rpm. Replaces restrictive stock air box with a high-volume, precision-formed intake duct that attaches to the supercharger via a large 4” adapter. Cool air enters the system via an oversized K&N filter element. Includes water-repellent pre-filter and detailed installation instructions. Our race proven sponsons deliver a significant handling improvement through increased adjustability, strength and design. Adjustable billet aluminum stabilizer wing allows you to tune lean-in handling characteristics. Bulletproof aluminum mounting inserts add strength and increase vertical adjustability. 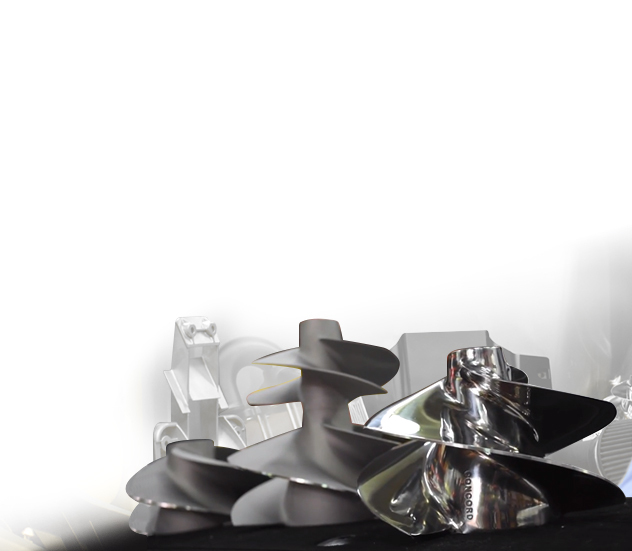 Sponson fins are precision machined from high strength material that will not flex under extreme conditions. Click here to view this product on our website. Our billet trim tabs are machined to exact tolerances to provide a more consistent planing surface than original plastic units. Precision handling and custom looks make these trim tabs a great addition to any RXP-X performance build. Directly replaces original plastic tabs that are prone to flexing and distortion. Machined from billet aluminum to the same configuration and thickness as original tabs and bright anodized to protect from corrosion. IJSBA Stock Class legal. Click here to view this product on our website. 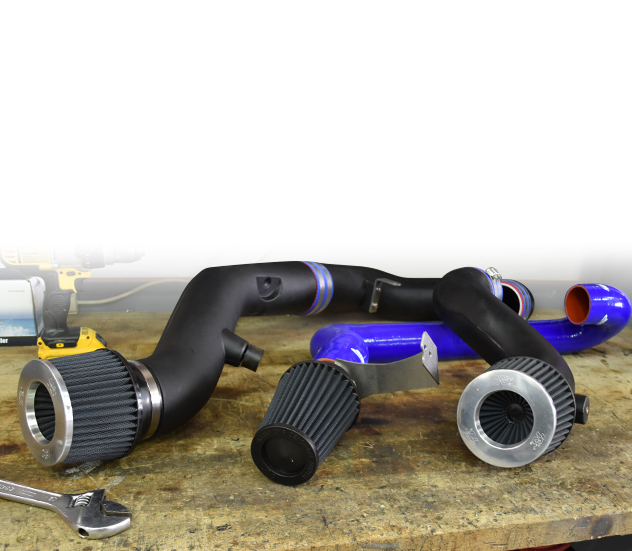 Our Intercooler Tubing Upgrade Kit significantly improves the performance & reliability of your intercooler system. 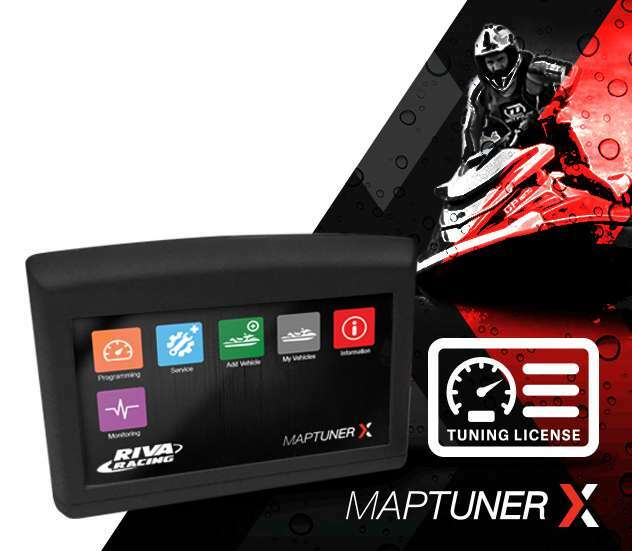 This is an essential upgrade for all racing and recreational performance craft. Fits all `09 & newer Sea-Doo craft with S3 hulls as well as RXP-X 260 and GTR 215 models. Requires use of RIVA ‘GEN-3' Power Cooler (part# RS1752-PC-I) or OEM `08~10 Sea-Doo 255/260 intercooler. Not compatible with smaller 2011 & newer OEM intercoolers. Click here to view this product on our website. 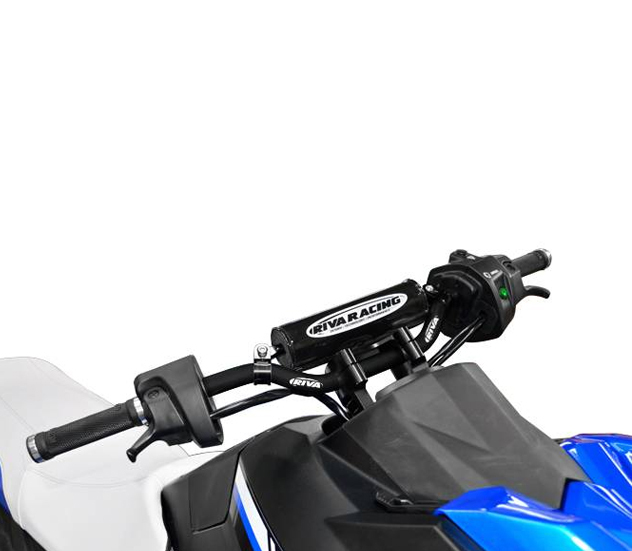 Our billet lever set for Sea-Doo iControl models provides superior control and comfort along with cutting edge styling. Directly replaces the OEM plastic parts with high quality C-N-C machined throttle and brake levers. Features more responsive stainless steel return spring for a precision feel. Gunmetal gray anodized coating prevents corrosion. Installs easily with included instructions. Click here to view this product on our website. Our ‘GEN-3’ Power Cooler is the ultimate intercooler for high performance Sea-Doo engines! All new extruded cooler core design delivers excellent thermal efficiency and minimal pressure drops. Perfect for use in high boost supercharged and turbo applications. Precision machined billet water tanks hold up to high pressure cooling systems that can cause original coolers to fail. This is a direct high performance replacement for all Sea-Doo external intercoolers. Click here to view this product on our website. Introducing the ultimate race proven steering system for your Sea-Doo RXP-X 260. Steering shaft is constructed of aircraft grade aluminum tubing for maximum strength & rigidity. Directly replaces plastic system with a stronger unit that provides variable tilt positions. Delivers a precision feel and the confidence to push your craft to the limit with improved dependability and comfort. Bulletproof bar clamp will accept any 7/8” handlebar or 1-1/8” bulge bar. Includes all necessary installation hardware and instructions. *Since the making of this video, we have come out with a new updated steering system. Click here to view this product on our website. We also have a new bundle that includes the steering system, housing and lever assemblies. Click here to view this product on our website. Power Filter Kit directs cooler, fresh air directly to your supercharger delivering awesome performance and eliminating power-robbing heat intake. Unrestricted air is delivered to engine via large 4" smooth-bore ducting that is attached to supercharger with unique velocity stack and sturdy billet clamps. Requires use of RIVA Catch Can/Oil Breather System (part# RS19050-BCC). Kit includes water-repellent pre-filter and detailed installation instructions. Fits RXP-X 260 & GTR 215 models only.Click here to view this product on our website. Our Supercharger Gear Dampener unit is designed to protect gear teeth & sprag clutch on supercharger drive system. Dampener features innovative cushioning mechanism that insulates gears from harsh clutch engagement. Directly replaces OEM intermediate gear located between clutch and supercharger shaft. Constructed with superior materials and thicker gear teeth than OEM. Designed to be used with RIVA Supercharger Shaft Upgrade Kits. Click here to view this product on our website. Our all new V88R3 Pro-Series ECU provides huge performance gains to the Yamaha SVHO, SHO & HO Engines. ECU is fully programmable with either RIVA supplied mapping or user defined parameters. 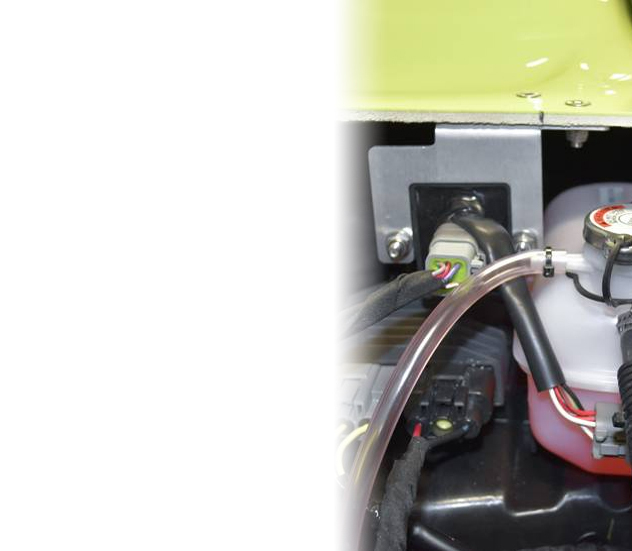 Most calibrations require use of RIVA Fuel Pressure Regulator Kit and 91+ octane pump fuel. Plugs directly into factory wiring harness via waterproof connectors. Super fast iSeries Processor delivers superior rev limit control and smoother engine operation. Upgraded "First In- First Out" logging function. Onboard logging now records continuously, overwriting oldest data when the memory is full. Our V88R3 Pro-Series ECU provides a huge performance advantage to the Yamaha 1.8L Engine delivering over 50hp to the stock supercharged engine. ECU is fully programmable with either RIVA supplied mapping or user defined parameters. Most calibrations require use of RIVA Fuel Pressure Regulator Kit and 91+ octane pump fuel. Plugs directly into factory wiring harness via waterproof connectors. 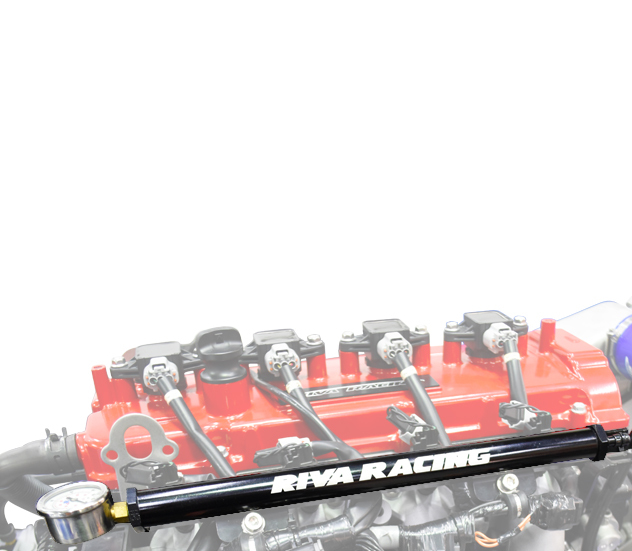 The RIVA ‘GEN-2’ Power Cooler intercooler system features a new high-capacity cooler element that is rated for up to 500hp! Huge cooler core resists heat soak under the most demanding high boost/high temperature applications. Delivers an increase of 20 peak horsepower over OEM intercooler providing arm-wrenching results on the water. Quality manufacturing of cooler core delivers minimal pressure drops and excellent thermal efficiency. The cooling element is dramatically more efficient than the stock unit with exit temperatures averaging 60°F cooler than stock. This delivers cooler, denser air for increased performance throughout the RPM range. Innovative design allows easy disassembly of cooler element & ducting for maintenance and cleaning. Features integrated blow-off valve mount that will accept RIVA/HKS Blow-Off Valve kit (sold separately) for improved supercharger reliability and performance. Power Cooler installs securely with shock absorbing rubber mounting system and stainless steel hardware. Kit contains all necessary hardware and detailed installation instructions. Our rear exhaust kits deliver performance and cutting-edge style. Allows for removal of restrictive sound suppression system located between water box and hull exit. Improves engine performance by reducing back pressure and restriction. Includes mandrel bent aluminum exhaust tube that is powder coated to prevent corrosion, large billet through-hull exhaust outlet, billet OEM exhaust outlet block-off and high-temp silicone couplers along with all necessary mounting hardware & installation instructions. Our race proven Pro-Series Sponsons will dramatically improve the handling of your craft with their superior blade & backing plate design. Includes a bulletproof mounting system that features a solid backing plate and four anchor points with billet inserts in sponson fins. Sponson depth is adjustable to control the amount of influence they have on the craft. Easy installation uses original mounting studs. Includes necessary hardware and installation instructions. Sturdy stainless steel washer kits directly replace the original weak plastic washers that are prone to crack and shear under use. Provides an awesome cosmetic upgrade along with increased durability. Precision machined washers are electropolished providing excellent fit and finish. A must for repeatedly removing & replacing your deck for regular maintenance & inspection. Kits include one extra washer along with installation instructions.